Beautiful, majestic Whisper was our matriarch here at Amook. 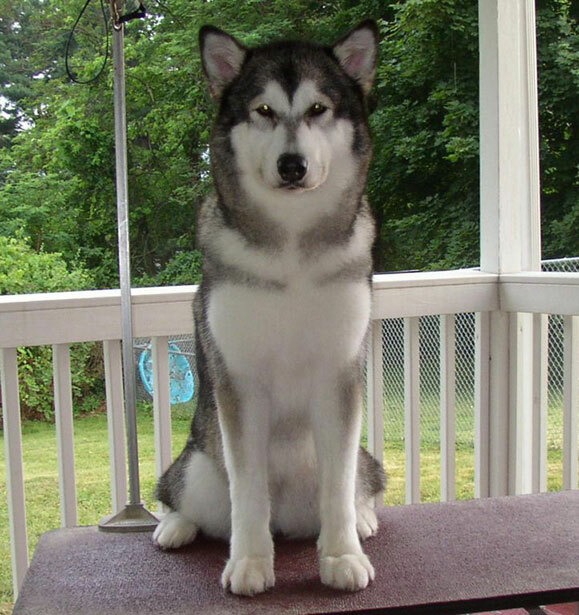 After years of false starts and disappointments, Whisper came to us from long-time breeders Owyhee Alaskan Malamutes. She brought strength, structure, temperament and movement to our kennel and bred to Huey, gave us a sound foundation to finally move our breeding program forward. Now retired from showing and breeding, she lives a pampered life as a spoiled "only child" in a wonderful home in Canada. Although we miss her greatly, after everything she gave us she deserved to live the life she always wanted...she is an adored family member, a full-time companion, and most importantly...she is happy.